Morning friends! 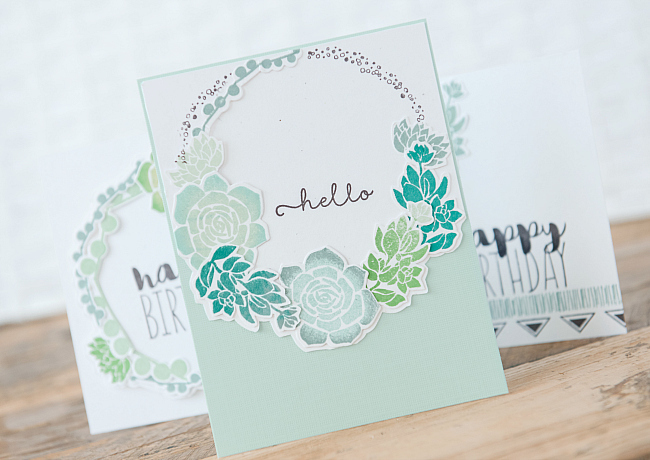 Today I'm sharing another set of cards created on-the-go. Recently, we ventured out East, spent a few lovely days in GTA and the beautiful Niagara Falls, and a couple of those days we encountered some not so friendly strolling weather. Of course, this meant I had just enough down time to sneak in a little bit of work and also to get these little numbers whipped up. 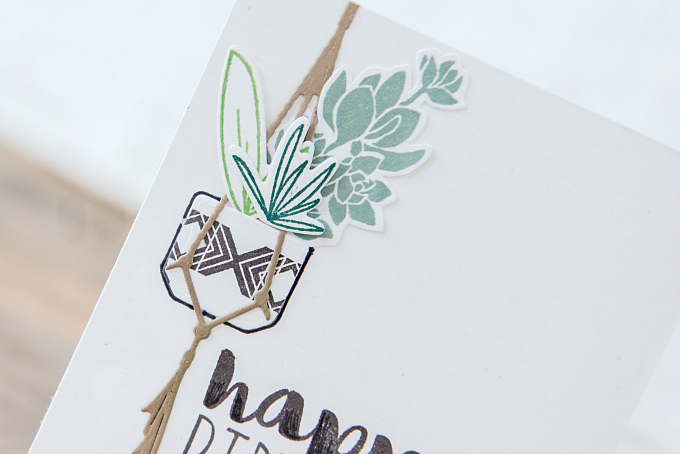 I packed with me, a pad of paper, a few stamp sets (Super Succulents from PTI, Live, Love, Grow stamp set from SU, and Southwestern Style stamp from PTI), a small selection of inks, and of course, my trusty scissors and adhesive. 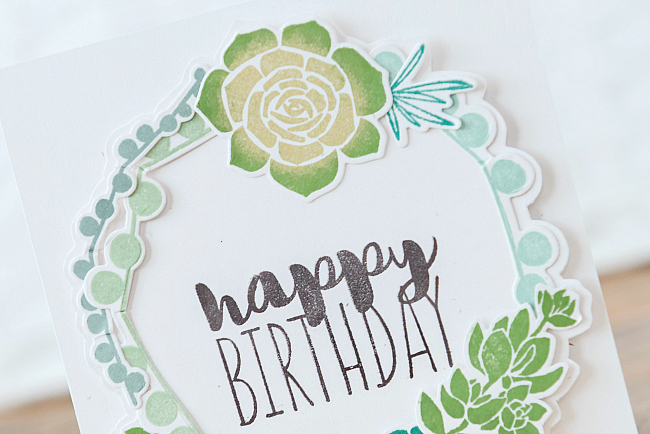 I wanted to fill this card with lush, green succulents, but still leave lots of empty space and since I didn't have much on hand to do that with, I thought a succulent wreath would be perfect! 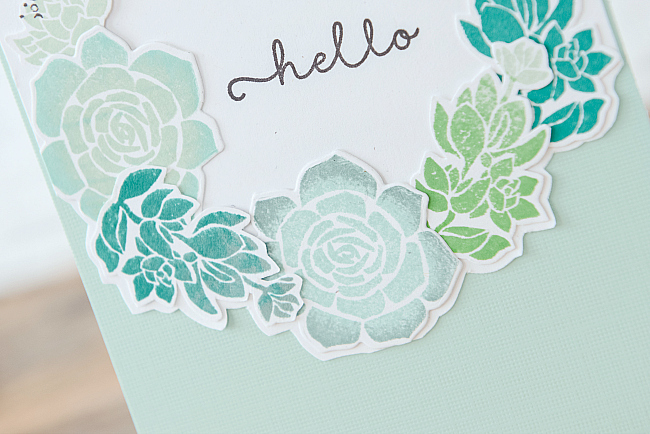 For the sentiment, a simple stamped hello did the trick. I followed the very same technique for this card, only I decided to fussy cut the entire wreath for a double-matted look. 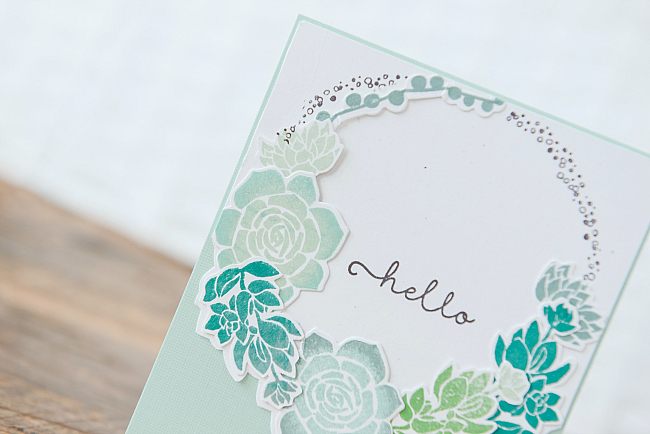 Love the texture of this style - but I can't say the same for my hands! Does anyone else love fussy cutting as much as me but gets horrible hand cramps?? 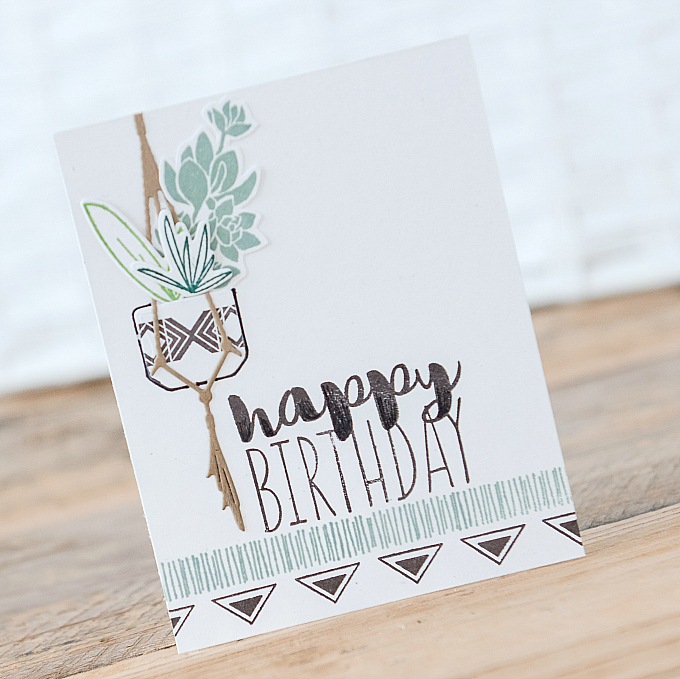 Next up, another little succulent number with the most adorable, teeny, tiny macrame! I've been so wishing to put a macrame in our bedroom to hold our beautiful coffee plant, but until that happens, I've been having fun crafting with it instead! 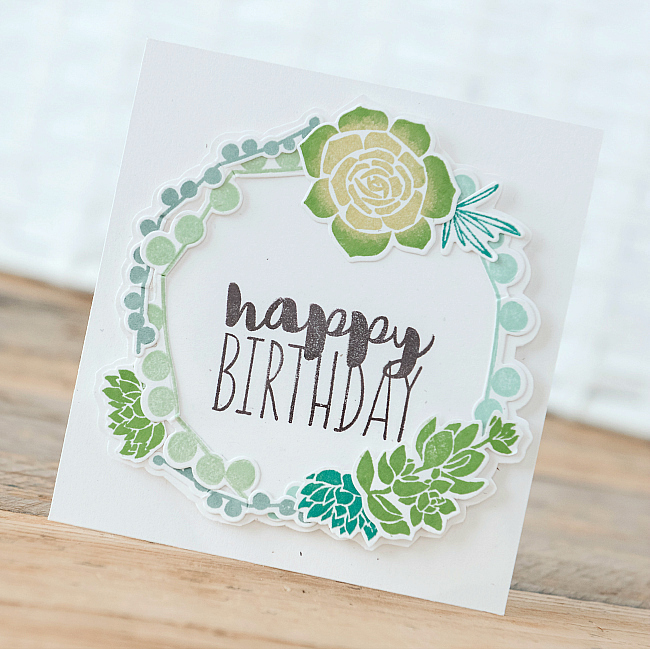 Luckily for this card, I had packed up a few die-cut pieces, so no fussy cutting required. It was just a matter of stamping and assembling! I think this card took a total of 3 minutes - can't beat that! A bit of a tip - when working with white on white (such as the little pot mounted on a white base), I find it helpful to outline objects. It gives them just the right amount of pop, while still maintaining that white, airy look. 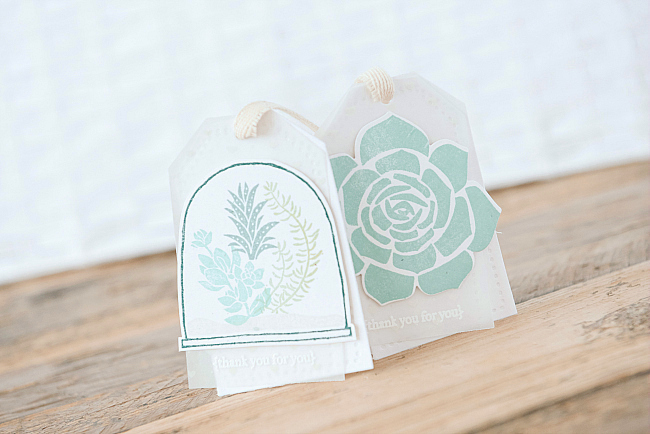 Last few bits from my stamping adventures are these fun little tags. I think the terrarium is my fave. 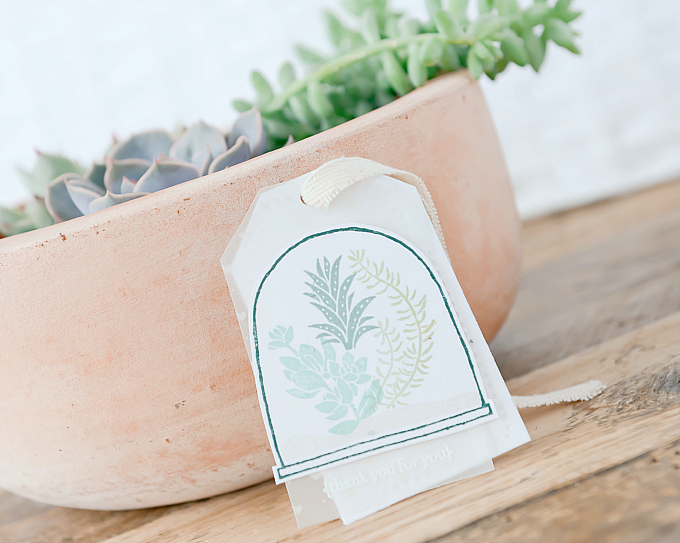 It's so fun layering the images together to create a little scene...Wouldn't these also look adorable in a mason jar? Can't wait to try. 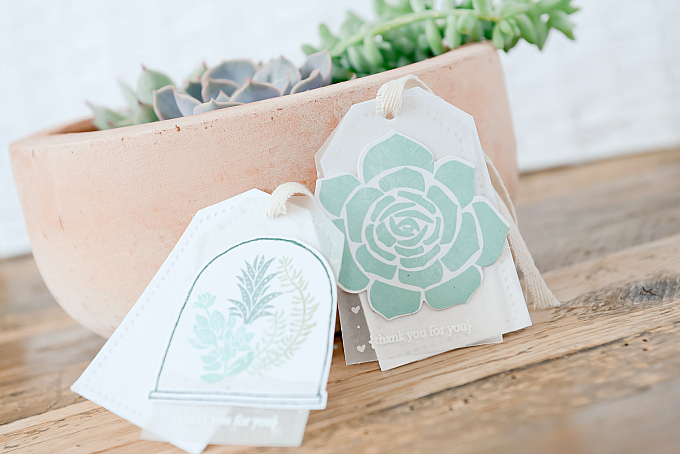 I finished these two little tags with a bit of die-cut vellum and an embossed sentiment when I returned home. I loved playing with these sets and I already have many ideas on how to infuse all my other goodies and make the cards a bit more 'my style'. Stay tuned, I'll be sharing more of these sets soon! 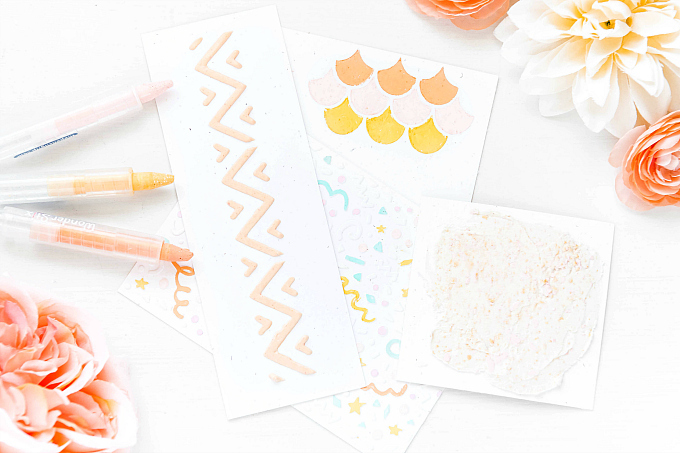 For more ideas on crafting on-the-go, check out my other post here! Thanks for joining me today. Hope it's warm and sunny wherever you are. What lovely projects!! I adore that little tag!! !